Services that make it easy to create landing pages across multiple domains need to implement SSL. 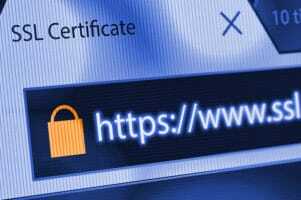 Next month is the deadline for most sites to move to https with an SSL certificate. At that point, Google’s Chrome browser will give a “not secure” warning when someone visits a page with any type of form. This includes a WordPress blog with comments or an email sign-up form. This causes an issue for landing page services such as Instapage and LeadPages, which allow users to quickly create landing pages with lead capture forms across multiple domains. These types of pages will show the warning in Chrome, and that warning will reduce conversion rates. Instapage has responded by offering SSL on all of its new plans, but these plans are significantly more expensive than the old plans. Right now I pay $39 per month. The cheapest new plan is $76 when paid monthly. As for LeadPages, there’s nothing on its home page about SSL. A customer inquiry about SSL has a number of frantic comments from customers concerned about what will happen next month. These companies can use free SSL certificate options, but there’s a bit of technical work in the background to make this work. I use https://letsencrypt.org/. It’s free but is difficult to setup if your Apache doesn’t use a normal directory structure.